In order to react to the ever-changing market, every organization needs to periodically reevaluate and evolve its company policies. These policies must be enforced by its Information System (IS) by means of a set of business rules that drive the system behavior and data. Clearly, policies and rules must be aligned at all times but unfortunately this is a challenging task. In most ISs implementation of business rules is scattered among the code so appropriate techniques must be provided for the discovery and evolution of evolving business rules. In this paper we describe a model driven reverse engineering framework aiming at extracting business rules out of Java source code. 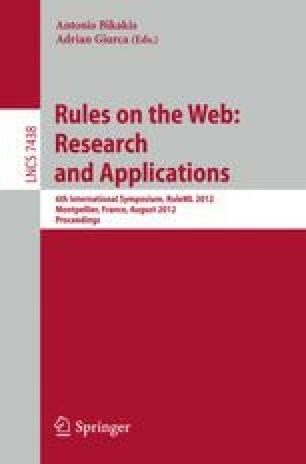 The use of modeling techniques facilitate the representation of the rules at a higher-abstraction level which enables stakeholders to understand and manipulate them.